(L-R) Sunil Lulla, Raj Nidimoru & Krishna D.K. 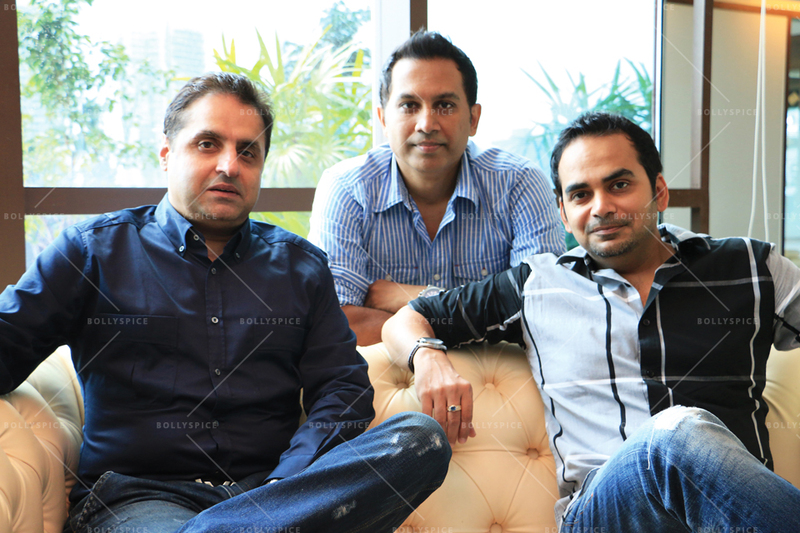 Eros International Media Ltd (“Eros”), a leading global company in the Indian film entertainment industry today announced it will co-produce films with Raj Nidimoru and Krishna DK’s D2R Films, including their next directorial venture Farzi. With this multi-film alliance, the director duo popularly known as Raj & DK make their debut as producers in Hindi film industry. The tie-up signifies a long term association between Eros and D2R Films for future projects with other directors as well. After making a zomcom, followed by a romcom, the directors are changing genres again. Farzi will be a big canvas crime-thriller-drama and like all Raj & DK films, will have their signature dose of humour. Besides Shahid Kapoor in the lead, the versatile actor, Nawazuddin Siddiqui has also been signed up for the film. They co-wrote the script with their long time partner Sita Menon and debutant, Suman Kumar. The film will go on floors end of this year and will primarily be shot in India. 16 queries in 0.669 seconds.